Fantastic service before, during and after our party. Mark and the team kept us informed every step of the way which made for a stress-free party. Everyone said how wonderful the food was. We had over 100 people at the party and not a negative word. The food was exceptional an amazing hog roast, chicken breasts, wonderful vegetarian options and he also catered for people who were gluten free. I would recommend All Events Hog Roast to anyone having a party no matter how large or small the gathering. I will definitely use Mark and his team for our next family party. Mark and his team attended a party we held recently for 300 people. His food and his efforts were outstanding. Extremely professional service and very clean and tidy. Everyone I have spoken to has commented on how lovely the food was. Thanks Mark, would have no worries in using you again and recommending you to anyone I know. Good luck with this business, it deserves to go far. Thanks again! I decided to try and find someone to cater for my BBQ, I had a lot of friends attending and I felt I would not have the time to spend with them if doing the cooking myself. Mark and Alice arrived early to set up the gazebo’s and BBQ which all looked so impressive. I had never met them before but you couldn’t ask for two nicer people to be with you and your friends/family. Nothing was too much trouble. The food was absolutely second to none. Kebabs, steaks, sausages, deserts. Mark fried onions with small red peppers and they were poured over the burgers in all different types of buns that were so fresh! All Events Hog Roast exceeded my expectations and I plan on hiring them again this year. SUPER! We booked Mark for my Mother’s 80th in Cricklade, 19th May18′ and he did a fantastic job. He worked with us on our budget from day 1 and recommended what we should order and was spot on, great communication always, friendly. Mark and his team (His Dad & Dan) turned up on time with some great kit, a very impressive display for our guests, he changes into chef’s whites to serve and even collects empty plates after. It smells wonderful and tastes even better. If you need a Hog for your party then you won’t regret hiring Mark. My partner and I found Mark via an online catering website. I cannot praise Mark and his team highly enough they were absolutely fantastic! My partner and I had our engagement party in a field in Bath and Mark was more than happy to travel there. Him and his team got there early set up, all of which looked incredibly professional. They had the food coming out on time and All the meat was cooked perfectly. I had requested that we had a mixed barbecue not a hog roast and asked whether we could have our own particular seasonings added to the meat which I provided; and Mark was more than happy to use. He also prepared a number of excellent salads to accompany the meats and even had insect guards over all the food. All in all, the food was absolutely fantastic and we had multiple complements from our guests on the day about how pleased they were with the cook and his team! We had the pleasure of Mark and All Events hog roast providing a roast at our wedding party recently. The food and organisation was superb, all of our guests were impressed with the quality and taste of the food. There was also a good selection for the vegetarians. Mark was a pleasure to deal with and made the whole thing stress free. Hog Roast for Garden Party, Swindon, Wiltshire. FANTASTIC! All events — All good! Mark provided a great service from start to finish. Friendly, professional, efficient and produced very tasty food. Great veggie options too. All my guests commented on how delicious the hog roast was and my veggie friends loved the halloumi wraps. Thanks Mark. I will definitely be recommending you to everyone. I would highly recommend Mark and his team. He provided a hog roast for 60 people for my post-wedding BBQ. The food was delicious and was of high quality. 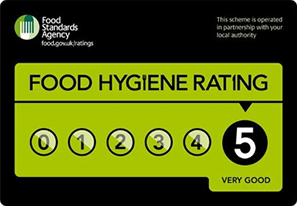 The preparation process seemed very hygienic and I totally trusted Mark to deliver! Communication with Mark was easy and price was very reasonable for the quality and quantity of food provided. Throughout the whole process, I always had such a good vibe from Mark and he comes across as a genuine and humble lovely guy! 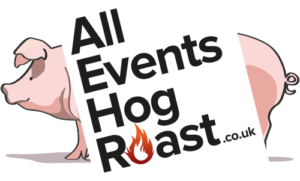 We used All Events Hog Roast for our wedding in May 2018 and were so happy with the service provided! All guests were really pleased with the food and the service and there were several options other than the hog offered for vegetarians and for those who don’t eat pork so no one was left excluded. Contact pre-event was perfect and we’d definitely recommend! We met Mark and his wonderful Mother at a friend’s party where they were doing the catering. After experiencing the food and their excellent service I decided to book them for my daughter’s party which include all age groups and different food diets which Mark catered for perfectly. Everyone thought the food was fantastic and there was plenty for seconds and thirds. I had also asked for a cheese board to have later which was the biggest any of my guests or I had seen. I will definitely be having Mark again and plenty of my family and friends have gone away with his number. Mark and his mum go that extra mile to make sure everything is perfect. Thank you once again for making it a truly memorable party! Excellent company! They provided my work place with a first-rate BBQ. Great food and very professional service. I would definitely use them again in the future. Totally recommend All events hog roast, the food was delicious, plenty to go around. The service was delivered in a very professional and friendly way for my aunts’ birthday. Would use again. This was beyond all my expectations. Mark (and his mum) did a wonderful job for us. My wife and I had a joint 125th, I’m 65 and she’s almost 60. There were around 100 guests including vegetarians and none pork eaters and all were more than catered for and were very happy indeed. Apart from the excellent quality of the food everything else that needed to be done was done with smiles and skill. To be really honest I had to do nothing at all. Mark arrived on time, the hog was roasted to perfection and served with great care, many of the guests having two or even more pork baps. The apple sauce, stuffing, sauces and condiments were excellent and the crackling was truly wonderful, and at the end of the night all was completely cleared away. I would happily book Mark again and would highly recommend him to anyone looking for a great quality, hassle free and tasty hog roast. Thank you, Mark. The only reason I am only giving you 5 stars is that there is no way to give you six. Fantastic Service (300 people) from start to end, food was all amazing and presentation outstanding. We had met Mark at a friend’s Hog Roast and decided we would like to use his services for our joint birthday party the following year. The communication between us and Mark was very efficient and professional. He answered all our questions promptly. The service on the night was exceptional. He was friendly and courteous with all our guests and provided us with delicious pork, stuffing and apple sauce all served in a bun, not forgetting the crackling which is to die for. He and his team cleared away at the end of the evening and slipped off without disturbing anyone and leaving the area as if he had never been there. I would certainly recommend him to anyone and a lot of my friends took his details. Mark provided a brilliant Hog Roast for our garden party for a 60th Birthday. All of our guest commented on how much they enjoyed the roast. From first contact to final delivery Mark kept me informed and answered all questions by email. He reviewed the location before arrival and discussed all of our requirements, a thoroughly professional service. He does lamb as well. Highly recommended. Mark was great right from the start. Booked for a corporate event – Great communication prior to the date and on the day the food looked and tasted amazing! Mark and his team have been absolutely brilliant over the 2 functions we’ve had – so easy and to work with, it was a pleasure. We will definitely be using them again in the near future.